I always used to look forward to watching the Mr. Men back in the 70s. The narration and character voices by Arthur Lowe (Captain Mainwaring in Dad's Army) were just brilliant. There were 28 episodes in all, but I also used to enjoy reading the books by Roger Hargreaves. Instructions: Launch your ball using the down arrow key and then use the left and right arrows to control the flippers. Oh, the sound effects are excellent, by the way - enjoy! 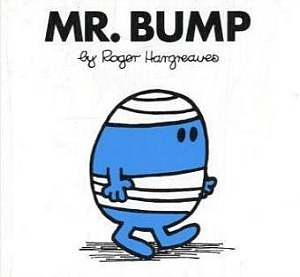 The accident prone Mr. Bump featured in the sixth book by Roger Hargreaves. In the story, he finds a job bumping into trees in an apple orchard to make the apples fall off the trees! Unfortunately, we have had to remove Mr. Bump Pinball. But we hope you enjoy this pool game, instead. Here is the Mr Bump episode from the original cartoon series.